Showing results by author "Andy Butcher"
What do legendary leaders from Disney, GE, GM, Johnson & Johnson, Boeing, eBay, Microsoft, Time Warner, LensCrafters, Chiquita, Walmart, Pepsi, and Saatchi+Saatchi have in common? 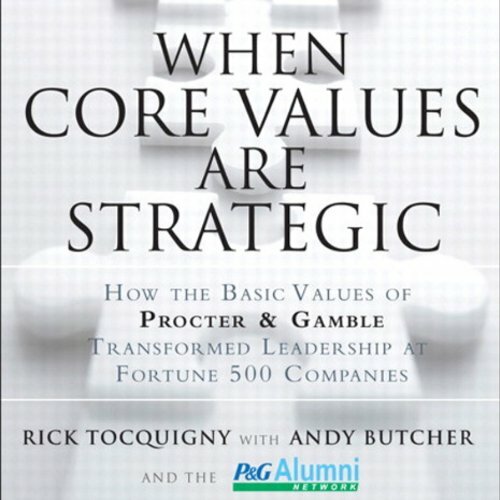 They all learned the critical importance of core values as managers at Procter & Gamble. Many of these leaders have remained members of the P&G Alumni Network and now you can share in their powerful lessons learned with The P&G Alumni Network's When Core Values Are Strategic.